Balloon decor and Props by Party People celebration company. 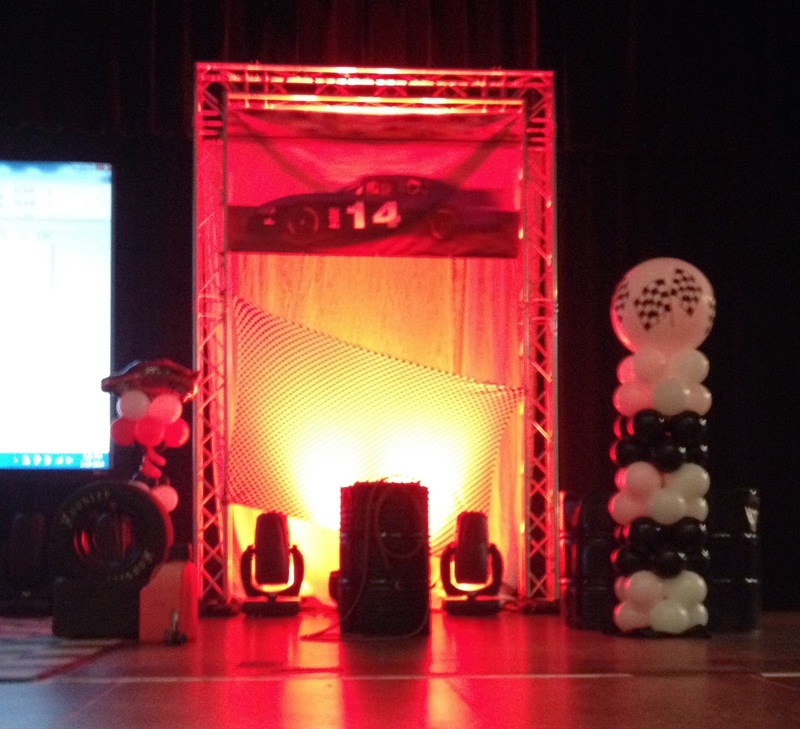 Let us know your theme and we will create that special backdrop for you! Lighting effects really brought the stage to life! 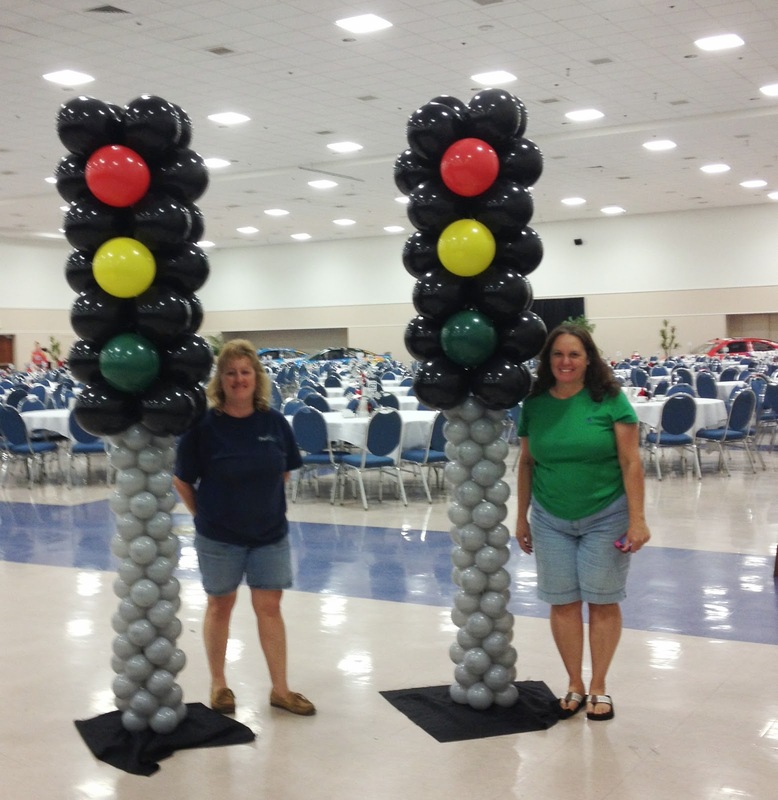 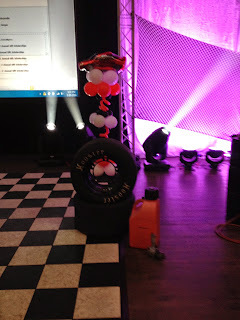 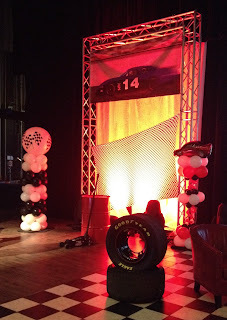 Balloon Stop light column and 3ft topper column with checker flag highlight the area for the podium. 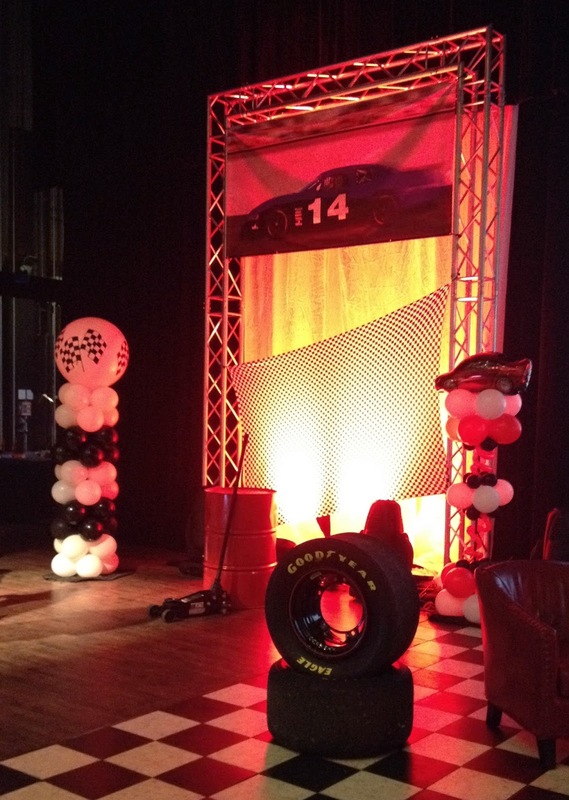 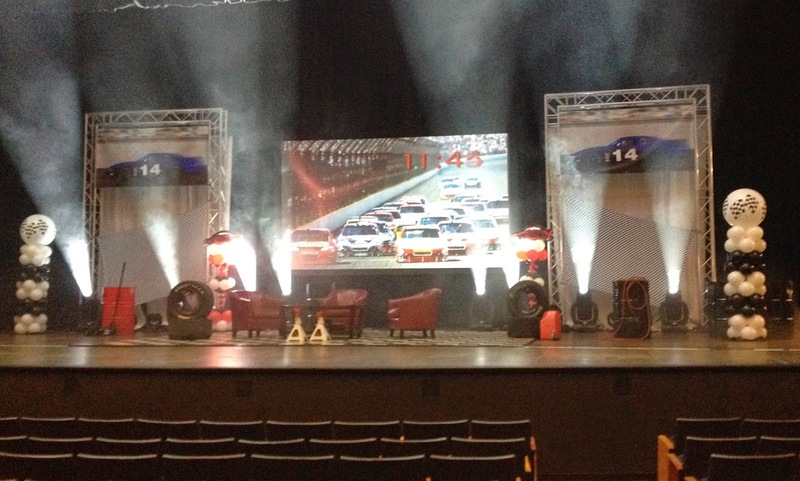 Lighting moves and highlights the Race Car Banners, truss, Barrels, Checkered spandex and balloon columns to create a celebratory feel! 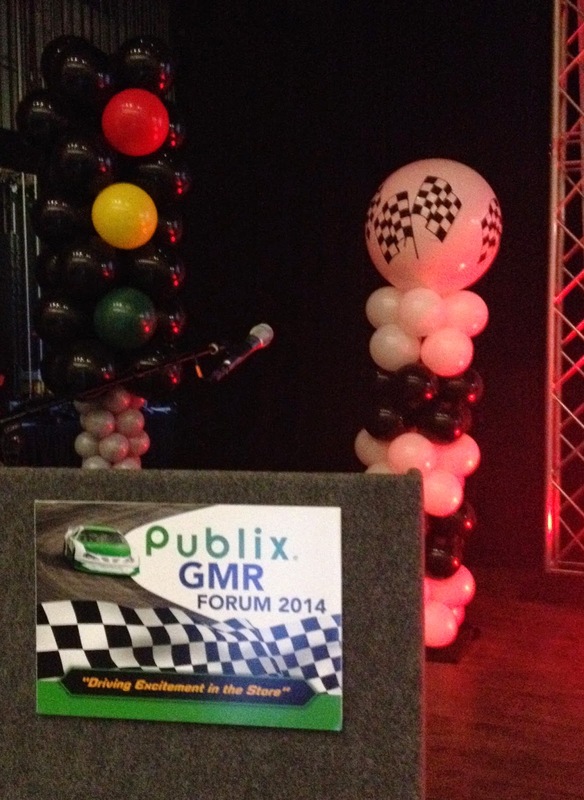 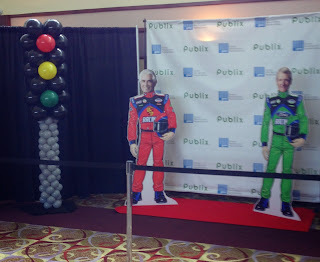 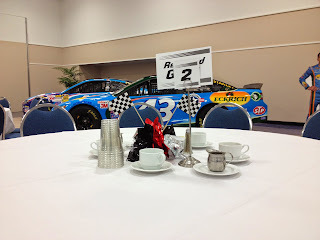 We have enjoyed providing theme decor for GMR/Publix event at the Lakeland Center for several years! 65 Themed centerpieces set for this breakfast meeting. Party People Celebration Company is located in Lakeland Florida, and create custom decor throughout Central Florida Visit our website http://partypeoplecelebrationco.com or call 863-255-2025 to have us provide decor for your special event.